Copper Ivy Plant Hanger large with 3 Hummer Stations - SEHH22HK. Copper Ivy Plant Hanger large. Decorated with verdigris ivy leaves on heavy gauge copper. 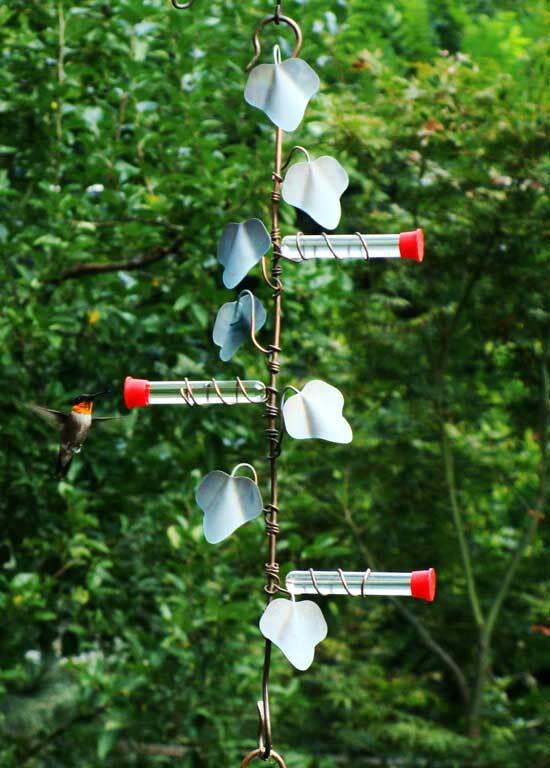 These functional hangers look perfect for hanging any feeder or garden accessory.